Hilarious suggestions from John W. Howell. The inspiration for this list came out of a conversation I had with Charles Yallowitz. He was mentioning a character named Frank who was not very good at bank hold ups. I thought maybe I would bring Frank back at some point and decided to give him some help should he want to get back in the bank hold up business. Also, it was fun to imagine holding up a bank. I hope you like the list and for all law enforcement folks out there, this is fiction. 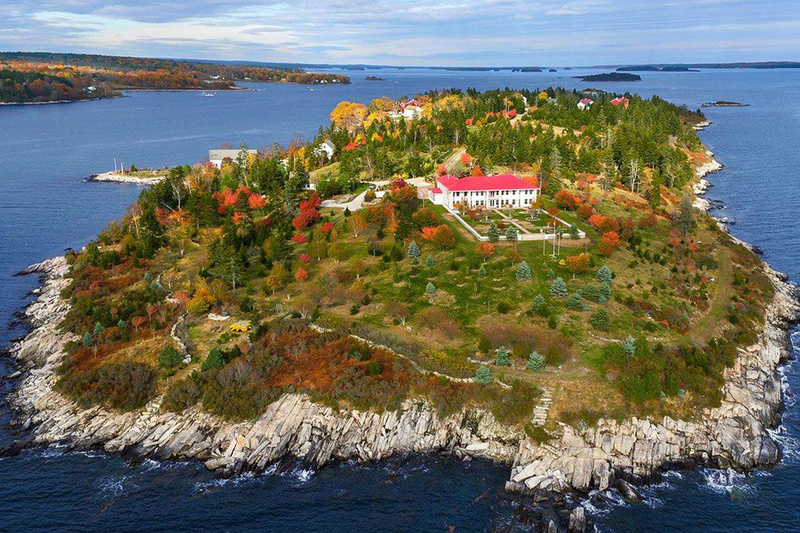 With 11,050 feet of sandy beaches and rocky coastlines, Hope Island is a miniature slice of Maine. The 86-acre island is just a 25-minute boat ride from Portland and once you’re there there’s no need to leave. Okay, the other one was getting long… here’s the rest of it. Sis… We’re stressing out; she got sick and they postponed her surgery multiple times. I want to be there for her, but there’s good news. They don’t think it’s cancer…. the surgery will only take a couple of hours and she’ll be headed home the same day. So she doesn’t want me to miss work, she makes a good case for waiting to come out until she’s recovered. She says she won’t be good company, she’ll be bruised up and in pain. She says there’s not enough room for everyone to come out and I can’t afford a hotel and we’re not sure when the surgery is going to be. So I say… okay… Now we just have to get mom out there because mom will be there. No ifs, ands, or butts… she will be there. I know I’ve been MIA for a few months, here’s what’s been going on. Sis came to visit in Jan, her eye looked swollen like it was sticking out of the socket and wrong. My mother and I insisted she get it checked out. She finally did and after a month or two of testing, (May) they found a tumor behind her eye. I naturally freaked out, they were throwing words like brain cancer around. I’ve dealt with a lot this past year but I’d draw the line there. Can’t deal with it. Won’t deal with it. Nope, nope, nope! Concerning the latest news from Washington. The republican President Donald Trump’s new Chief of Staff General John F. Kelly has a reputation for not suffering fools easily. If this is true, then the new Communications Director Anthony Scaramucci will be reporting to the general. And the general will not only have the final input on the president’s tweets but Mr. Scaramucci will have to review anything he will be talking about with the general. There will be discipline in the ranks. It turns out that the Marine General has on his curriculum vitae, the position of liaison between his military branch and the US Congress representatives, but this is not enough experience for him to be interacting with the legislators over anything regarding policy. This duty will probably fall to the Vice President Mike Pence. A FREE BOOK about fairies. The origins of fairies and gods.. legends and myths – FREE Epub or pdf.. Details in the post. You will have a deeper sense of contentment if you count your blessings instead of focusing on your problems. French animator Frédéric Vayssouze-Faure explores complicated mathematical concepts through short animations he publishes on a Tumblr called Wavegrower.